Princeton University Press, 9780691033273, 768pp. In the 1930s, physics was in a crisis. There appeared to be no way to reconcile the new theory of quantum mechanics with Einstein's theory of relativity. Several approaches had been tried and had failed. In the post-World War II period, four eminent physicists rose to the challenge and developed a calculable version of quantum electrodynamics (QED), probably the most successful theory in physics. This formulation of QED was pioneered by Freeman Dyson, Richard Feynman, Julian Schwinger, and Sin-Itiro Tomonaga, three of whom won the Nobel Prize for their work. In this book, physicist and historian Silvan Schweber tells the story of these four physicists, blending discussions of their scientific work with fascinating biographical sketches. 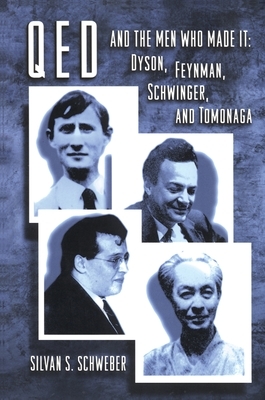 Setting the achievements of these four men in context, Schweber begins with an account of the early work done by physicists such as Dirac and Jordan, and describes the gathering of eminent theorists at Shelter Island in 1947, the meeting that heralded the new era of QED. The rest of his narrative comprises individual biographies of the four physicists, discussions of their major contributions, and the story of the scientific community in which they worked. Throughout, Schweber draws on his technical expertise to offer a lively and lucid explanation of how this theory was finally established as the appropriate way to describe the atomic and subatomic realms. Silvan S. Schweber is Professor of Physics and Richard Koret Professor of the History of Ideas at Brandeis University. He is also an associate in the Department of the History of Science at Harvard University.